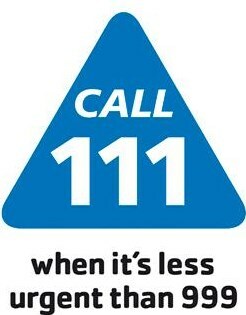 When we are closed, you should phone our out of hours provider on 111. Calls are free of charge. Our provider, Derbyshire Health United, will advise what you should do. You can also phone NHS 111 for advice about healthcare and illness when it's less urgent than 999.